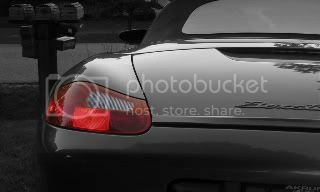 Getting ready to do my first oil change on the new to me 2000 Boxster S. I know the previous owner said he used the Mobil oil. I will either use the same or the Joe Gibbs oil. Im curious as to what filter most of you use. I have yet to jack my car up and see what's in it. Do most of you use an OEM type or aftermarket? Have any of you purchased an adaptor such as the one offered by Flat Six innovations? Is it a good conversion to be able to use a spin on filter? I've used Hengst and Wix oil filters without any issues; I have not adapted to canister type oil filter. Wix NAPA Gold filters are much better made than the other cartridge style filters and offer a finer media pore diameter. Skip the Mobil oil and go the the Gibbs DT40. The LN spin on filter is an excellent upgrade to get away from the problematic bypass system in the factory filter set up. And you can get a Wix filter for that as well. I have the “IMS Solution” and it came with a spin-on filter adapter. I have been using Driven DT40 and Napa Gold spin-on filters with this setup for the last 30,000 miles. I did about 10 years ago when they sold parts, now you buy straight from LN Engineering who makes them. I use a Hengst or Mahle OEM-style filter with Mobil 1 and I change it often. 1. As JFP says, it overcomes the factory bypass system. With a factory canister, at start-up oil is bypassed from the filter. With the adaptor, oil flows thru the filter at start-up. 2. If you plan to do any track days, the spin-in filter is more robust incase you do any "agricultural runs". The spin-on filter sits lower than the sump and is an easy target for anything you may drive over. The plastic canister may come out in 2nd place if it hits anything solid. I have the spin on as well and use NAPA Gold or sometimes simply Mobil 1 filters. Thanks for the advice. 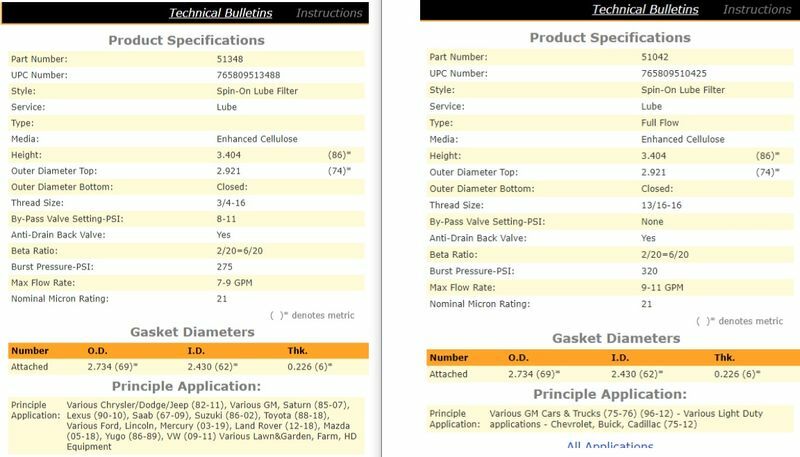 I was told the IMS solution, and rear seal was performed in October 2018. I am just not sure what else was done at the same time. I think I will go for the LN spin on filter kit. Yeah, I like the spin-on adapter ("SPOFA") as well. LN also has the package that includes the magnetic drain plug in the deal. And I, like several other responders, go with the Wix. In my case ('01) it's the Wix 51042, which is easily obtainable at our local O'Reilly Auto Parts store. The only disadvantage I see is that it's tougher to inspect the filter element following an oil change. I typically use Chinchilla fur to filter my Unicorn urine. If you have the IMS Solution installed, i.e., the IMSB upgrade that has an oil pressure lubricated journal bearing, you already have a spin on filter adapter installed. You can easily tell that as you will see a section of braided flex hose coming out above the oil filter and entering a notch cut out in the engine case flange near the central seam of the two case halves. That is the oil going to lubricate the IMS Solution. I believe, but am not certain, that this spin on filter adapter is different than the spin on adapter LN sells for engines without the solution installed. If you don't see this braided flexible line, then you have a LN ceramic bearing IMS Retrofit, if you have something LN installed in your IMSB. There may be a LN Engineering sticker on the underside of your rear trunk lid or door jamb with a serial number. If you find that sticker, you can see if your car has been registered at LNEngineering.com or contact LN with that number and they can tell you what you have. I have the LN adapter. On an Ebay sale, mine came with a couple of Bosch filters. I use Wesson corn oil. Really like it !!! When it all leaks out, my Porsche smells like french fries! Only the M9x non ims solution spin-on has no bypass. Hey, they grow alfalfa in the infield of my local track (RPM). Sometimes it needs harvesting. Great advice! I did see the service bill for the IMS install this weekend while I was going through all the paper work and maintenance records passed down to me. I will check this out tonight when I get home. I know another shop in the Atlanta area did the install, but I recall seeing the parts were from LN, just not sure which one at this point. Nice of you to oblige them (though hopefully only infrequently ).